 This week, Holden Satterwhite the CEO and Founder of Appleosophy, talks about the new services Apple has announced today at the Apple March 25th event at Steve Jobs Theater. This morning in the Steve Jobs Theater at Apple Park, Apple announced a few new services for consumers. These services include Apple News Plus, Apple Card, Apple Arcade and Apple TV Plus. Apple News Plus: Apple News Plus is essentially a lot like Apple’s old Newsstand app. There are currently 300 publications available on it, as of today. Apple News Plus will cost $9.99 per month, with the first month of the service being free. It does include Family Sharing as well. Apple Card: This is a service that will allow users to use it both on the iPhone, iPad and Apple Watch like a person would with Apple Pay, as well as also get a physical card for the service too for those businesses that do not accept Apple Pay. It gets rid of annoying things like late fees, international fees and annual fees too. Users of the service will be able to get three percent back with purchases through Apple, two percent back with the digital card and one percent back with the physical card. The Apple Card will be launching sometime this summer. Apple Arcade: An App Store gaming subscription is coming soon. Apple Arcade will have over 100 new and exclusive games. The games will be available on the iPhone, iPod Touch, iPad, Mac and Apple TV. They will be able to be played whether you are online or offline, and will not include ads. It will be released in the fall, but a monthly price for the gaming subscription service was not announced. Apple TV Plus: This was Apple’s biggest part of the event. Apple announced and unveiled the new service that has its own original content. Just to name a couple of shows that Apple is making for the service are The Morning Show and Little America. It is set to be ad-free too. Apple TV Channels was also announced, which will enable users to sign up for services like HBO and CBS All Access through the Apple TV app and have the shows and movies appear in the Apple TV for easy access to watch. Apple TV Plus is set to be launched this fall. The Apple TV Channels service and redesigned Apple TV app will be released and launched in May 2019. There is no set price for Apple TV Plus at the moment.